Jen is a scholar/artist motivated by a fascination with the limits and possibilities of the archive, and the challenges to fair use, copyright, and creative transformation that this work can engender. Her plays, many of which transform found text into theatrical events, have been presented at the Little Theatre (Seattle), Cleveland Public Theatre, LexArts, American Theater Company (Chicago), Available Light Theatre (Columbus), Tristan Bates (London), Off Broadway at 59E59 Theaters, and on BBC Radio 4. She is the Joint Artistic Director of the for/word company, an organization dedicated to dynamic stagings and innovative interpretations of material from the historical record. She trained in dramaturgy and literary management at the Goodman Theatre (Chicago), and is a proud Member of the Dramatists Guild. 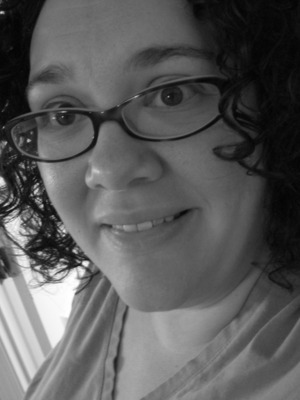 Jen’s scholarly work has been published in TDR, Theatre Survey, Theatre Journal, and in several edited collections. She is the 2009 winner of the ASTR Gerald Kahan Award for the Best Essay in Theatre Studies by a Newer Scholar, and currently edits Theatre/Practice, an open-access, peer-reviewed journal created to encourage, recognize, and disseminate rigorous scholarship in embodied practice and practice as research in theatre and performance. She has been honored with several teaching awards, including OSU’s prestigious Alumni Award for Distinguished Teaching and the Distinguished Undergraduate Research Mentor Award. For Ohio State's Department of Theatre, Jen founded and coordinates the Lab Series, a student-driven, department-nurtured performance research laboratory. She holds a courtesy appointment in the Department of English. In 2016-2017, she is a Vail Artist-in-Residence at Denison University, devising a new play with their students built out of material from the Denison archives. She continues to co-produce the Next Stage Initiative with Matt Slaybaugh, Artistic Director of Available Light Theatre. She is leading a team of students in creating work to engage with the history and legacy of Black Mountain College as part of the Wexner Center for the Arts Leap Before You Look exhibition. And her new play, Patience Worth, created in collaboration with the for/word company and ACCAD will premiere in March 2017 at the Kranzberg Center in St. Louis.